It started with a tweet. And then another one. What followed was a stunning week in Washington for Ilhan Omar, a freshman member of Congress from Minnesota's 5th District, that included condemnation from her Democratic allies, a public apology — also via a tweet — and President Trump calling for her to step down from a high-profile committee and resign from office. Two days later, she stole the national spotlight again for her questioning of Elliott Abrams, President Trump's special envoy to Venezuela, about his role in Central American killings during his stint in the Reagan administration. "There are 435 members of Congress, so you can't overstate how unusual it is for one member to attract so much attention — both from the media and the president himself," said Kathryn Pearson, a political science professor at the University of Minnesota. It's attention, in good times and bad, that Omar and her home state can expect more of during her time in Congress. Omar made history last fall as the first Somali woman and one of the first two Muslim women ever elected to Congress. She's a darling of the national media — she even had a cameo in a Maroon 5's music video — and she's part of a high-profile class of freshman Democrats, the most diverse ever, trying to shake up the establishment in Washington. Her historic profile and unapologetic style have given her a megaphone on social media, where she frequently weighs in on the issue of the day, earning hundreds of thousands of responses. This week, it backfired. Omar tweeted Sunday that American politicians' support for Israel is "all about the Benjamins," and followed it up with another tweet specifically calling out the American Israel Public Affairs Committee. That earned her swift rebuke from Republicans and Democrats alike, who accused her of trafficking in dangerous anti-Semitic stereotypes. After House Speaker Nancy Pelosi called for her to apologize, Omar did "unequivocally," saying she was referring to the powerful Israel lobby and was "grateful for Jewish allies and colleagues who are educating me on the painful history of anti-Semitic tropes." Even with the apology, it's made for uncomfortable conversations among her Democratic allies back in her district. "She's establishing herself as a firebrand. Do I think she is going to have another Twitter dustup? Yes. Will it be about anti-Semitism? I have no idea," said Carin Mrotz, executive director of Jewish Community Action. "I don't think her tweets are evidence that she is an anti-Semite; her tweets are an example that anti-Semitism is so ingrained in our society and culture that we don't even realize it," Mrotz added. "I will say to her credit is she has displayed a willingness to learn and grow and change." Others felt her celebrity and inexperience in politics — Omar served just one term in the state House before moving to Congress — collided in the tweet. 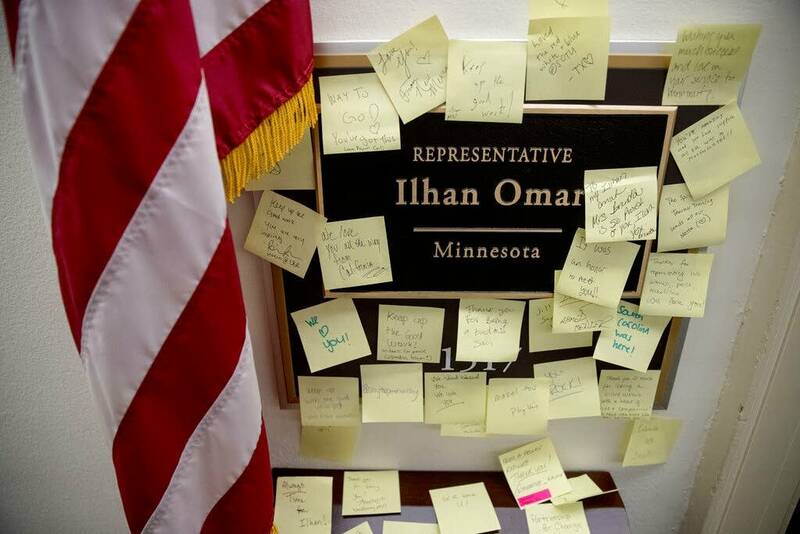 "There's a learning opportunity in here for her to talk with members of the Jewish community in her district," said Darin Broton, a DFL consultant and strategist with the Tunheim public affairs firm. But he was turned off when he saw a fundraising email from Omar this week — titled "We Won't Be Silenced" — after Trump asked her to resign. "It didn't matter if the tweet came from the president or if the tweet came from someone else, we shouldn't be fundraising off of something that was insensitive," he said. The U of M's Pearson said Omar's difficulty now is balancing her firebrand profile with building relationships in her district and allies in Congress who could help her pass legislation. She contrasted her style with two other Minnesota freshman Democrats — Angie Craig and Dean Phillips — who have taken more moderate, problem-solver stances. For example, on Thursday, Omar and three other freshman members of Congress, Alexandria Ocasio-Cortez, D-N.Y., Ayanna Pressley, D-Mass., and Rashida Tlaib, D-Mich., issued a joint statement opposing the bipartisan agreement reached to prevent another government shutdown. "We want to be abundantly clear: This is not a rebuke of federal workers or those who depend on the services they provide, but a rejection of the hateful policies, priorities and rhetoric of the Trump Administration," they wrote. "Many members of Congress, when they first enter, spend a lot of time getting the lay of the land, developing policy expertise, forging relationships. That does not seem to be the path that she is taking," Pearson said. "The challenge of her is ... going to be being able to build consensus and build policy coalitions with people who might not agree with her on every issue." And her detractors contribute to her high profile as much as her supporters. Omar and her allies have become a target for the right for their outspoken style on issues before Congress. "Unfortunately, the country today — the way it is — a Muslim woman who is unapologetic about who she is and what she brings to the U.S. Capitol is going to be a lightning rod for criticism. 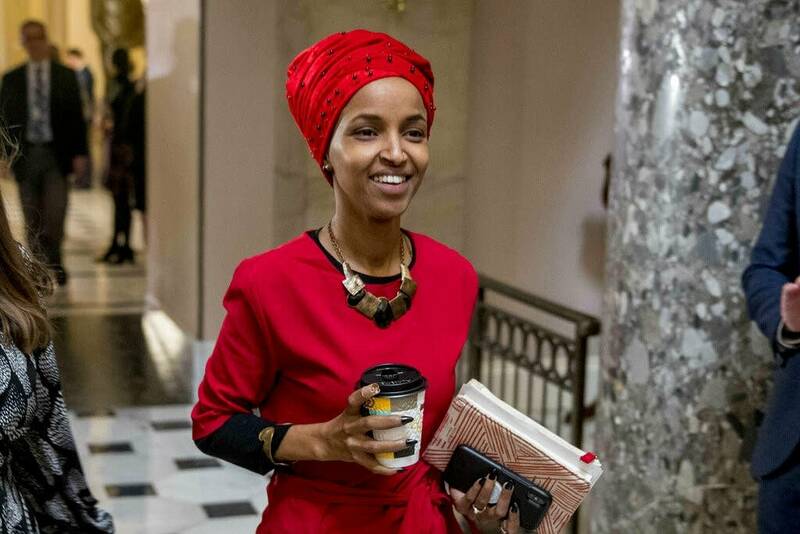 There are going to be people on the right who want to tear her down because they can't stand the idea of what she represents," said Minnesota House Majority Leader Ryan Winkler, DFL-Golden Valley, who represents a large Jewish community in his state House district. "As much as I'm concerned about the language she has used in respect to the Jewish community, I think that it's very important that people like Ilhan Omar are in leadership positions because it demonstrates the way America is changing and what the future looks like," said Winkler. "I just hope that she will think carefully about the powerful effect her words can have."